Introducing: Service Account authorization for Google Kubernetes Engine. 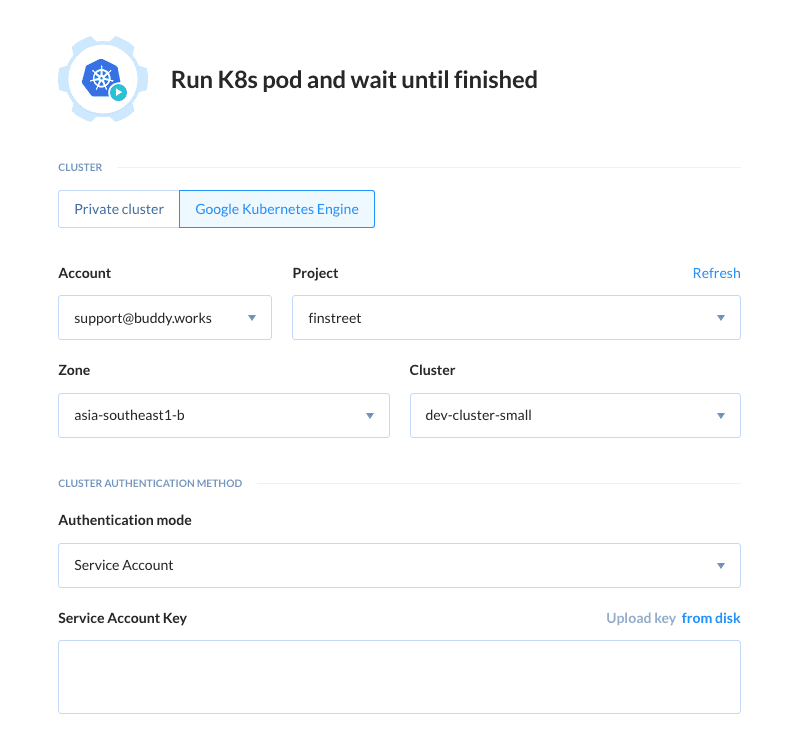 Recently, we’ve added a new authorization method for GKE (which stands for Google Kubernetes Engine) cluster solution in all K8s actions. Today, as we promised, we released its new authentication method: Service Account. Need help setting up your workflow?